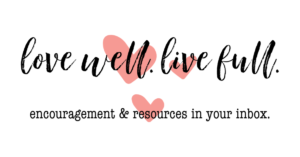 Welcome to day 2 of 31 Simple Ways to Embrace Lopsided Living! Since it’s Sunday, I won’t be writing a long post but I do want to encourage you with a verse of Scripture. This verse holds a special meaning to me because it reminds me of an important truth related to lopsided living — God has called me to a life of abundance not scarcity! In the garden, Satan directed Eve’s attention to the one tree God told her to stay away from. And in that moment, she lost sight of all the other trees around her. All her focus was on what she didn’t have and it caused her to lose all she did have. Our enemy doesn’t have any new tactics, y’all. He’s still trying to distract us from what God has already given us, attempting to convince us we are missing out. 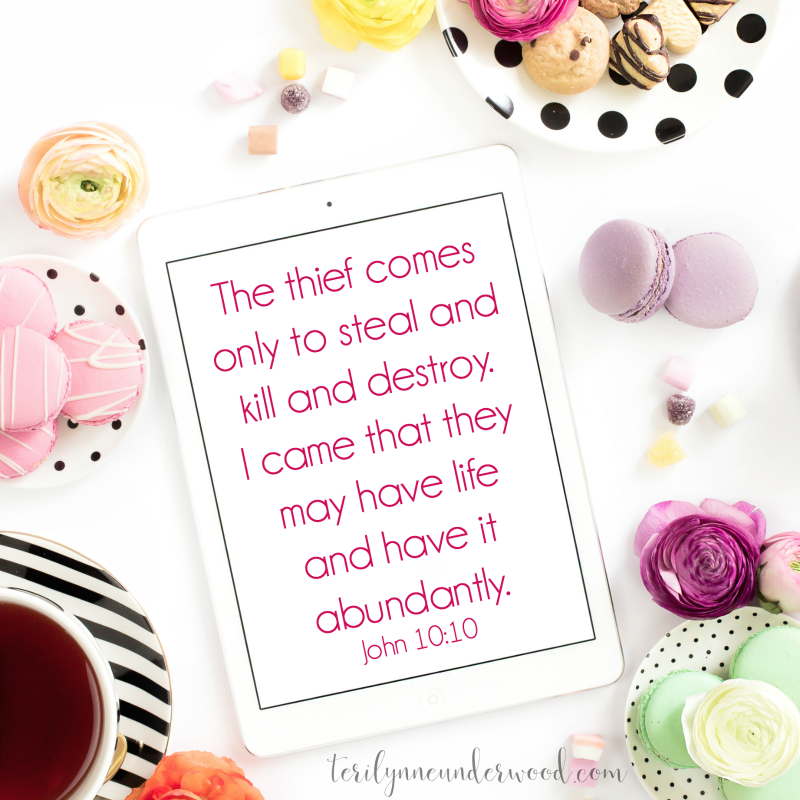 He is a thief who wants to steal our joy, kill our hope, and destroy our faith. He’s a liar who desires to convince us God doesn’t have our best interests at heart. He wants us to be distracted, dissatisfied, and dismayed. His tools include comparison and competition. It’s his desire to have us focus on everything and everyone except God. JESUS CAME TO OFFER US LIFE! Not just a satisfactory life but a satisfying life. Not just a little bit of life but life to the full. We serve a God of abundance not scarcity! There is abundance in Christ — over the top, more than we can imagine, unending abundance. THANK GOD FOR THE ABUNDANCE IN YOUR LIFE. When we shift our focus to gratitude, we can’t help but see the ways God is working in, through, and around us. This short but powerful exaltation about living a lopsided life has really opened my eyes to giving thanks more than complaining about every situation around me, I serve a God of abundance not scarcity. Giving thanks knocks the devil off your ways.